As England’s famous university town, Cambridge’s academic field draws students and researchers from all across the globe. 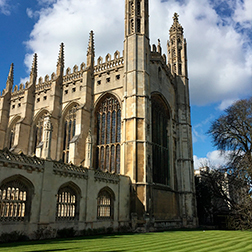 However, Cambridge is also a powerful center of software and biotechnology industries, fueling thousands of jobs for skilled and highly educated migrants from within the UK and abroad. In fact, Cambridge has a higher density of immigrant populations than surrounding areas, due to its diversity of jobs, with an especially large community of Polish, Lithuanian and Latvian families.